Congenital heart disease is one of the most common types of birth defect, affecting up to twelve in every 1,000 babies born. 1 Large-scale population-based studies have made invaluable contributions to the understanding of cardiac diseases, but none recruited participants prenatally and focused on the neonatal period. 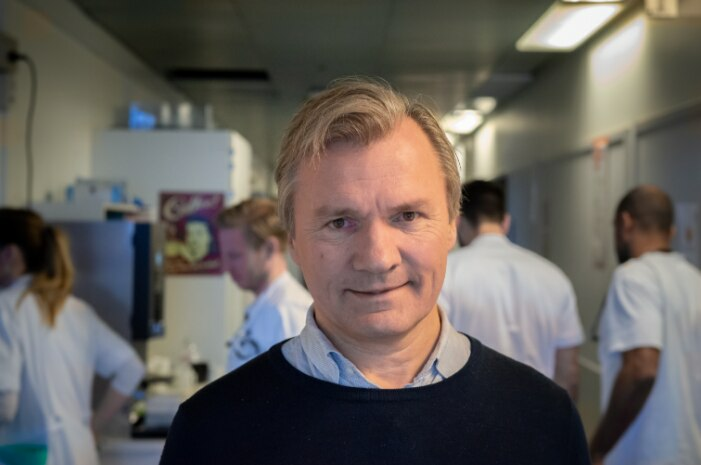 An ambitious study in Copenhagen, Denmark, aims to shed light on the underlying causes of cardiovascular disease development at the earliest stages of life. Over the course of two years, more than 25,000 newborn babies’ hearts were scanned at Rigshospitalet, Herlev Hospital and Hvidovre Hospital in the Copenhagen region. The children were examined within the first 14 days of life with standardized echocardiography, electrocardiogram and measurements of oxygen saturation. Four VividTM E9 XDClear ultrasound systems and ECG MACTM 5500 HD devices from GE Healthcare were used to produce more than one million sequences of the heart of five seconds, as well as ECG’s, which are now being analyzed. Although the full data is far from being fully analyzed, the initial results have begun to emerge. “We have found quite a lot of mild heart defects and most of these would have likely been discovered anyway, as malformations are not so difficult to find. On the other hand, we have never had an overview of how many people were born with a reduced heart function, without any real malformations,” says Prof Bundgaard. “We used ultrasound scanners from GE Healthcare to produce very detailed images. With these images, we can understand how severe the problem is and whether we should intervene. For example, a small gap between the ventricles of a newborn child is likely to close by itself over time and may not require any intervention or treatment”. “The data will be updated regularly to follow the 25,000 newborns as they grow up and age. We have created a base material that can lead to new knowledge and insights in the decades to come” he adds. Prospective follow-up is planned to assess the life-long development of cardiovascular disease as well as other conditions and to study associations between both pre- and postnatal conditions and disease, including life style, environmental and genetic factors. 1 van der Linde D1, Konings EE, Slager MA, Witsenburg M, Helbing WA, Takkenberg JJ, Roos-Hesselink JW. Birth prevalence of congenital heart disease worldwide: a systematic review and meta-analysis. Journal of the American College of Cardiology. 2011 Nov 15;58(21):2241-7. doi: 10.1016/j.jacc.2011.08.025.